Merge onto Airport Expy/SR-112 E via the ramp to I-95 N/Beaches Continue to follow SR-112 E (Partial toll road) Take exit 2A for N. Miami Ave and Turn right at N Miami Ave. Turn left at NE 36st St and turn the 2nd right onto NE 1st Ave./ Midtown Blvd. Take Pine Tree Dr. and W 41st Street to I-195W. Continue on I-195W to Miami. Take exit 2B toward Biscayne Blvd/US-1. Merge onto NE 38th Street. 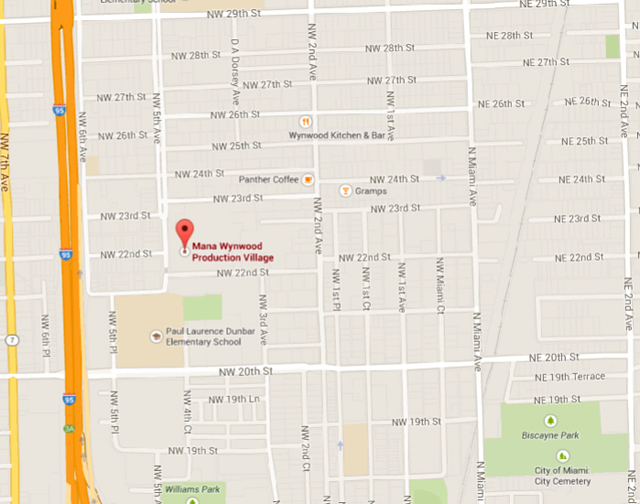 Slight left onto NE 37th St/ NE 38th St.Turn left onto Biscayne Blvd. Turn 2nd right onto NE 36th St and left onto NE 1st Ave/ Midtown Blvd. Merge onto SR-5/US-1 Slight left at I-95 N (signs for I-95 N) Take exit 4A-4B to merge onto I-195 E Take exit 2A for North Miami Ave Turn right at N. Miami Ave. Turn left at NE 36st St and turn the 2nd right onto NE 1st Ave./ Midtown Blvd. Merge onto I-95 S Take exit 4 to merge onto I-195 E Take exit 2A for North Miami Ave Turn right at N. Miami Ave. Turn left at NE 36st St and turn the 2nd right onto NE 1st Ave./ Midtown Blvd.